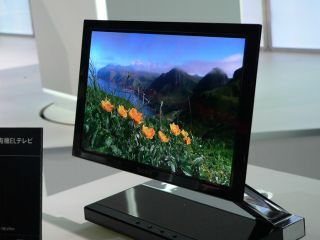 Less than a year after it launched the world's first OLED television – the XEL-1 – Sony is looking to compete with an entirely different line of next-generation displays called FEDs. Sony affiliate Field Emission Technologies is set to begin mass-production of FED (field emission display) panels by the end of next year, according to Japanese media reports. A spokesman for Sony Japan told us, "We are aware that Field Emission Technologies is in negotiation with Pioneer regarding mass-production of field emission displays, however this does not have any implications for Sony's existing relationship with FET." Where the XEL-1 measured just 11 inches across the diagonal, FET is aiming to produce 10,000 26-inch FED panels each year at the plant in Kagoshima. These will be for medical and broadcasting use first, but 60-inch consumer televisions may follow soon after. Sony spun the company off at the end of 2006 and currently owns just under 40 per cent of it. FEDs are more energy efficient and sharper than LCDs, and can be easily built to large sizes, making then ideal alternatives to OLEDs.